Here to help our customers get the most from their Porsche. JMG Porsche are the only Porsche specialist built on a foundation of three generations of Porsche experience stretching back to the early 1970's. We offer our clients a highly equipped workshop, filled with everything you would find at a main dealer and more, with friendly expert advice from our team of Porsche only trained and experienced technicians. From servicing, diagnosis, repairs, parts and hand picked Porsche car's for sale, JMG Porsche is dedicated to bringing our customers the best from their Porsche experience. When you have finished browsing our website, why not call us for a chat. We might have what you are looking for even if it is not listed on the website. Call us on 01202 488800 or 07000 996 911. Or why not arrange on of our free new customer inspections, so that we can get to know your car, you can get to know us and we can help plan your future maintenance. At JMG Porsche we are dedicated to offering our customers some simple principles over and above just the typical work of a garage. To help minimalise our customers inconvenience or stress. If we make an honest mistake, to put it right without delay. Our customers are not just our customers, but many become friends of the garage as fellow Porsche enthusiasts. By clicking on the above tabs, you will be able to learn more about JMG Porsche, our history and why you should use us as your specialist of choice. Based on the Dorset Hampshire Boarder. JMG Porsche are located in Ferndown, on the edge of the New Forrest and the boarder between Dorset and Hampshire. Convenient for customers from Dorset, Hampshire, Wiltshire, West Sussex, Surrey and further afield. Just between Southampton and Bournemouth, 30 minutes from Winchester, and only an hour from London, JMG Porsche have always benefited from a wide customer base, with customers visiting from as far afield as eastern Europe and Asia Minor! 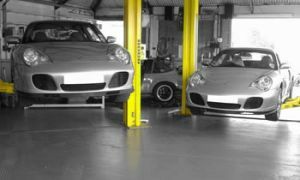 While your Porsche is serviced or repaired in Ferndown you will also be able to take advantage of a number of local attractions including the national motor museum at Beaulieu, Kingston Lacey House, Christchurch Priory or castle ruins, Bovington tank museum, the beaches at Sandbanks or Bournemouth, Matchums Go-Karting, shopping in Bournemouth, Ringwood, Poole, Christchurch or Ferndown itself. Or why not treat yourself to a fixed wing or helicopter trial flying lesson at nearby Bournemouth airport? All of this is achievable within a short drive away in our pre booked loan car, or with discounted taxi services. Alternatively some customers turn their Porsche maintenance requirements into a mini holiday with so much to do in the local area and a multitude of excellent local hotels and B&B's. When selecting our workshop location, we were careful to choose somewhere with nationwide train connections, as 50% of our customers visit from all over the UK to use our services. Luckily we were able to find suitable workshops within a short taxi ride of Christchurch, Bournemouth and Poole train stations. Not only this, by changing at Eastleigh or Basingstoke, you can travel to us by train from Exceter, Honiton, Axeminster, Yeovil Salisbury, Andover, Hedge end, Fareham, Porchester, Portsmouth, Southsea, Chichester, Brighton, Guildford and many others. JMG Porsche has always had visitors from all over the world, including especially Europe. Amazingly customers have bought their cars to us from Athens, Belgium, Germany and Switzland, which is quite common. Therefore Airport links to JMG have always been important. Only a short taxi ride from Bournemouth International Airport, or with great rail links to Southampton Airport, JMG is well served from the air as well as from the road or rail. From the M3 - Continue on the M3 heading south, when it splits into the M27 East and M27 West, follow the M27 West, signposted for Bournemouth. Keep on the M27, it will eventually turn into the A31, stay on this road and follow the signs for Ferndown and Ferndown Industrial estate. Once on the estate you can not miss us. 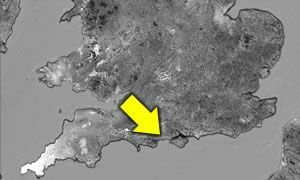 From the New Forrest - Follow signposts for Ringwood and then for Ferndown Industrial estate. Once on the estate you can not miss our building! From the west - Typically it is easier to follow signs for Poole, then Wimborne, then Ferndown at which point you should see the signs for Ferndown Industrial estate. 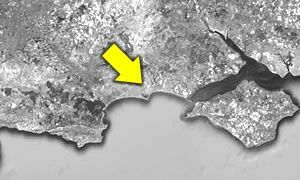 As Dorset's largest industrial area and one of the largest industrial areas in the UK, you will not be able to miss it. Being situated on the main road through the middle of the estate you really can not miss us. Christchurch, Bournemouth and even Ferndown are well served with nearby places to stay on a short holiday while we work on your car. From a simple B&B through to a 5 star hotel, JMG Porsche can help recommending several local Hotels. While you car is at JMG Porsche, there is quite a lot to do in the local area. Including the Kingston Lacey House, The Heavy Horse Farm Park, Merley Bird Gardens, wildlife reserves, the New Forrest, shopping in Bournemouth or Poole or even pop into Christchurch for a selection of the best cafe's, Bistro's, restaurants that you could ever wish for. Not to mention the 7 miles of golden sand beaches at Bournemouth or the millionaires paradise of Sandbanks. Our favourite day out in the area has to be a trial helicopter or fixed wing flying lesson at nearby Bournemouth international airport. 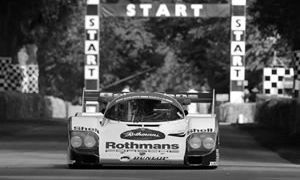 The company has its roots in the 1970's in Cambridgeshire with John Mitchell Senior, who is sadly no longer with us, but his legacy and knowledge continues to be passed on to all members of the JMG Porsche team today by his son Jon Mitchell who is the current senior master technician here in Bournemouth. All team members have access to the company Porsche library of Porsche manuals, wiring digrams and technical information, which is backed up with never ending training courses available to all staff members with the assistance of the IMI, City&Guilds and the OEM and aftermarket such as Bosch, not to mention direct access to the technical advisor for Porsche club GB and The Independent Porsche Enthusiasts club in the form of the Senior Technician Jon Mitchell. There is always space here for additional technicians, however enthusiasm to be the very best at what you do, as well as the Porsche marque and history is essential, as is a willingness to understand the best technicians never stop learning. JMG Porsche have an opening for a full trained/experienced Porsche mechanic. Salary negotiable, dependent on experience and references. We are always looking for excellent mechanics with great skill, drive and enthusiasm. Porsche experience is not essential, however non Porsche trained mechanics would be put through our training program to join our team. As well as Porsche experienced or Porsche trained technicians, some of the staff at JMG have completed or are proceeding through the JMG Porsche apprenticeship. Apprentices are expected to complete a 5 year training with independently varified observation and qualification process with the IMI and/or City and Guilds, often training along side main dealer staff in the same program. The first year of this process trains each apprentice in the process of car detailing, paint rectification and cosmetic repairs. The importance of this first year is to train the apprentice in appreciating the vulnerabilities of paint and trim item materials so they have a deep respect and treat them with the utmost care throughout their career. Not only this, but this stage teaches the apprentice that there may be multiple stages to any repair (not just cosmetics) and that thought needs to be made to working out each tasks stages into the most efficient order. Also during this first year all apprentices will also shadow other staff members during servicing and routine maintenance, learning the importance of gathering information and inspecting each car. Much like a forensic detective, often the signs of a mechanical problem may not be obvious, but tell tale signs may be a clue to a problem which may not even have developed into a symptom yet. The second year is where the apprentice will begin the inner three year process of gaining their technician qualifications. During this phase the technician will proceed through the beginner levels of training (level 1) where the apprentice will become qualified as a fitter (Tyres, exhausts, suspension and servicing). At this stage they will be assisting in the workshop with other technicians to perform services and a variety of cars, including the JMG Porsche apprentice training cars. Year two will see them proceed through their intermediate (level 2) qualification of "Technician" where they will be qualified to normal mechanic/technician levels. At this stage the apprentice will still be also trained, observed and supervised in replacement of transmissions, driveline repairs and other level 2 tasks. The third year is beyond the qualification of most technicians, Porsche or otherwise, which is the advanced (level 3) technician, where the apprentice will learn to rebuild transmissions and engines, as well as auto electrician level. During this third year qualification process, the apprentice is assessed in the workplace on a regular basis by independent verifiers as they progress in the workshop tackling evermore complicated jobs under instruction and supervision. The fifth years training involves taking things beyond the standard. Performance modification and advanced diagnostics are where the emphasis lies. The technician will learn all aspects of performance modification in great detail, even down to road and dyno remapping of engine management systems as well as the fundamentals of performance tuning. 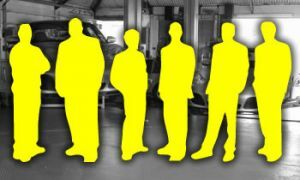 Only once the five year process is complete do the apprentices proceed to being classed as a JMG Porsche Technician. By this point we believe they are trained to a more advanced standard than you will find in almost any garage or main dealer, and rightly so! Beyond the apprenticeship, JMG Technicians are always learning as the cars released by the Porsche factory become more advanced as technology progresses. Everything the main Porsche dealer will have, and more! In choosing a specialist to deal with the maintenance or improvement of your Porsche, it is not only important that they are trained on Porsche cars, but also that they have all the equipment you would expect from the main dealer, including Porsche specific diagnostic computers and tools, but also all of the special tools to work on your car. 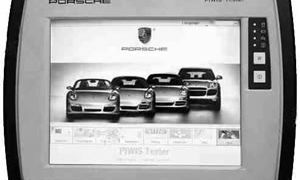 The latest range of Porsche cars require the use of a PIWIS3 diagnostic computer, before that it was the PIWIS2 (2012-2017), PIWIS (2005-2012) PST2 (1998 to 2005) and before that (1987 to 1998) it was the famous "Bosch Hammer" diagnostic computer used by main dealers. At JMG Porsche we not only have the old and new Porsche diagnostic computers (most main dealers will only have the current one), but we have also invested in the best of the aftermarket diagnostic computers. Each one has its own strong points, some are used here for one specific task, such as the one we use to test Mass Airflow sensors in 986 and 996 models! At JMG Porsche we also have a wide range of Porsche specific engine tools, some of them are official Porsche tools, some we have even had custom made to make a job easier, or to improve on the genuine Porsche tool. A good example of a custom designed tool is our equipment for being able to replace intermediate shaft bearings on a 996 and Boxster without completely removing, let along dismantling the engine! Inovations and equipment like this allow us to pass labour savings onto our customers. Electronic diagnosis is all well and good, but sometimes traditional diagnostic testing is required. We of course have all the equipment to bypass your cars fuel system to be able to measure fuel pressure and fuel flow. We also have the traditional tools to work with even the very early Porsche cars running with carbs, through the many variations of fuel injection (MFI fuel injection, CIS Fuel Injection, Motronic/L-Jetronic) through to also the very latest direct injection models. Fuel injector test and rebuild equipment. 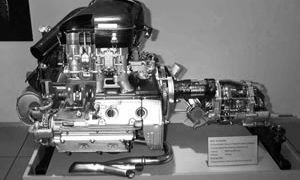 We are the only Porsche specialist we know of who have our own injector service and repair lab. Equipped with a Lucas and Bosch approved injector test and service bench, specialist tooling to strip down and rebuild fuel injectors, several injector ultrasonic cleaners, advanced fuel injector live monitoring equipment to precisely evaluate what is happening inside the injectors (such as latency, spray pattern, flow) as well as a full stock of Genuine Bosch, Lucas, Siemens, Rochester and Delphi spare parts. This is not just for modern electronic fuel injectors, but also for classic car mechanical fuel injectors and cold start valves! Not many specialists can boast the on road datalogging equipment that JMG have at their disposal. While driving we can monitor actual exhaust emissions, exhaust gas temperatures, air temperatures, air pressures and much more, totally independent of the cars own sensors! Equipment like this is essential sometimes to quickly diagnose faults on Porsche cars. But we also use this equipment to reprogram your engine management system to provide more horsepower. We also have access to a state of the art DynoDynamics rolling road, where we can test your car at any speed in real world conditions while being able to examine the car up close and in detail. Have a problem that only occurs at 100mph while accelerating and on boost? We can repeatedly test for the fault without endangering your car or other road users. Which is something we hope to bring in house soon! Sometimes a Porsche will have a leak. It could be a coolant, oil, power steering, transmission, air conditioning, exhaust gasses or even an intake system leak. We have the latest state of the art specialized equipment to quickly find such leaks. Some of them use pressurised smoke, others use chemicals which glow under UV lights, some use pressure and others a negative pressure. As always, this can reduce labour costs and therefore our customers Porsche running costs. JMG Porsche have the latest Bosch air conditioning equipment to ensure your air conditioning can be diagnosed, repaired, tested and even serviced to the highest standards. New brake disks or the old one repaired. Sometimes a Porsche needs to have work performed on the brakes. At JMG Porsche we have Porsche approved equipment to resurface your brake disks while they are fitted to the car. Other specialists without this equipment will always tell you that your brake disks need to be replaced, this is because they do not have the expensive Porsche approved equipment to resurface your brake disks in situ. Some models, such as the 964 suffer from issues causing even quite new brake disks to deform, our on the car brake lathe will resurface your brake disks to match your hubs and to provide even less distortion than even a new brake disk! Along with all this, if there is a gadget or other piece of equipment which will improve quality or reduce expense for customers, JMG will invest in it. It's not cheap running one of the most equipped Porsche specialists in the world, but it helps to become the best. All the team at JMG Porsche are Porsche enthusiasts as well as qualified Porsche technicians, some of them lucky enough to own their own Porsche cars themselves or have previously owned them. The team can often be seen at Porsche events up and down the country, as well as local Porsche club meetings. Jon has been involved with the independent Porsche enthusiasts club for over a decade now as a technical advisor as well as being the original founding member of the Southern Region. Although the pressures of running a Porsche garage now prevent him from being involved with local meetings and online forums as much as he once did. One event that the team used to often attend was the Poole "Porsche on the Quay" events, which has sadly now ended (get your finger out Poole council!) But now attend the Weymouth event as well as others when we can, which give JMG the chance to meet old and new friends in the Porsche community. It is enthusiasm though that not only fuels the determination to be the best, but also to innovate new products to solve Porsche problems. It was just this enthusiasm that in 2005 caused JMG to develop a solution for the replacement of dashboard speakers in Boxster and 996 models in partnership with 9XX, even today this kit is sent throughout the world to Boxster and 996 owners wishing to upgrade their speakers. Development of new improved products continues, as it has done for many years, from the performance products for the now 30 year old 944 and 911 models, through to ongoing development for current Porsche models in production today. JMG Have always been well known for offering technical support to customers, enthusiasts, Porsche clubs, online forums and the media. Sometimes one of our Porsche customers may have a question regarding their car, it could be as simple as asking which tyre pressures are recommended, other times it can be a worried call to find out if a noise or warning lamp is something needing our urgent attention. We are always pleased to answer these technical enquiries from our customers. If the question is non urgent, please email our technical department on technical at jmgarage.co.uk . However if you need an answer urgently, please feel free to call us. Sometimes, part of the joy of owning a Porsche is to be involved in its maintenance and repairs, we know this because we enjoy working on your cars as well. At JMG Porsche we are more than happy to help support enthusiasts on working on their own cars by email, all we ask in return is that you give us a chance to provide the parts you require. We do have a price promise to match the price you have been quoted by the main dealers or any reputable online stores. We also offer a backup service, where for a small fee, we can help support your efforts to repair or maintain your Porsche, this includes fault code reading, clearing error codes, checking your workmanship, making adjustments (such as to a belt, fueling or ignition) and our prices for these items is very competitive to allow you to ensure the work you have performed is up to scratch or completed properly. For a small fee, we can also email copies of technical information to enthusiasts. 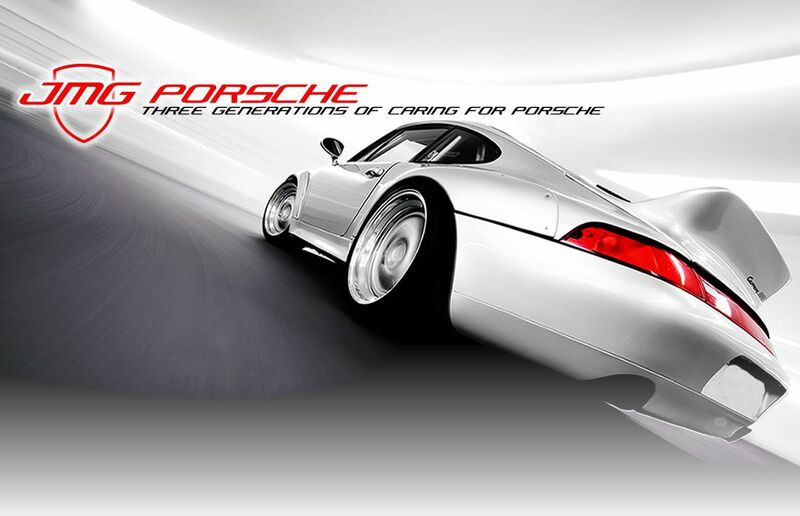 JMG Porsche actively support the Independent Porsche Enthusiasts Club in our position as Technical advisors. We do this via their forums, via telephone support, or via our technical email address above. Tipec members will always get a priority service, so please remember to quote that you are a TIPEC member and your membership number when contacting us. We also offer support to Porsche Club Great Britain's members, via forums or by email. When we have the chance, we also visit a selection of online forums to provide technical support, the ones we can recommend are www.boxa.net for Boxster owners, www.911UK.com for 911 owners and www.tipec.net for everyone. We have been technically advising the mass media, television, newspapers and magazines for many years, in particular TopGear, Discovery Turbo, Classic Car Magazine, various Porsche magazines and the Daily Mail are but a few. If the worst should happen and your car needs attention when we are closed, your car can arrive 24 hours a day, seven days a week, even of Christmas day! If your Porsche needs urgent attention without an appointment, just follow the following simple steps. Drop your car off, or have it recovered to us right away and leave the car in our front car park (covered by CCTV). Call us on 01202 488800 and leave a voicemail explaining that your car is here. Email us when you get home, with more details, including your name, telephone number and the details of the problem. When you leave a voicemail, our telephone system converts that message into an email which is sent to the smart phones of key members of staff, which are checked at least periodically (even at Christmas!) every day, and sometimes will even see the message immediately. Once we are aware of your car being here, as soon as humanly possible, a member of staff will visit the workshop and where possible move your car inside, or to our locked compound at the rear of the building (also covered by CCTV) If it is impossible to move your car, they will put measures into place to have the car moved as soon as possible. When we have your details by email, a member of staff we be in touch, by email or telephone to let you know what is happening. When will my car be worked on? Wherever possible, even if we are booked up for weeks in advance, we always keep a little time in the schedule to at least look into your fault by the end of the next working day and someone will be in touch with you. What if I need my car back on the road urgently? Our staff obviously have set working hours and days when we are closed. However "Money talks" and everyone has their price, even if it is Christmas or a Sunday. So if you need your car fixed urgently, no matter what the cost is, let us know in your email and voice mail, we are able to put technicians into action but for twice our usual hourly rate. If during that event we are not able to complete repairs (such as needing parts) there and then, you only pay for the time they spend attempting to get your car mobile out of hours, and you will be notified of what happens next and when we would hope to be able to repair the car. Although we are not open 24 hours a day, we will do everything we can to get you mobile again. JMG Porsche are a completely independent company from Porsche AG and the VW Group. As such we are able to offer the friendly personal attention and flexibility not available through the official Porsche main dealer network. Disclaimer:This website and the company it represents are entirely independent of Dr Ing hc F Porsche AG, Porsche Cars GB Ltd and its dealers, and any club or association. The term 'Porsche' is used as a general descriptor for the various Porsche cars. Its use in no way implies an association with or approval by Porsche Cars GB or Dr.Ing h c F Porsche Aktiengellschaft, the German parent company. The term 'Porsche', the Porsche crest, the Porsche font, Boxster, Cayman, Cayenne, Panamera, Tequipment, Carrera, Targa, VarioCam, Tiptronic, 911, 356, 914, 912, 924, 944, 968, 964, 930, 993, 996, 986, 987, 997, 931,and the distinctive shape of Porsche cars are recognised to be trademarks owned by Porsche AG and Porsche Cars GB. The content found on this site is strictly that of JMG Porsche and not that of Porsche AG, VW Group companies or Porsche Cars GB.